Canopy: is a one-year devotional for parents of children who are facing long-term medical conditions. These parents have a new full-time job of nurturing their children amidst the challenges of illness. A family's life centered in the medical world could be defined by fear, worry and despair. Cancer Support Community: The Cancer Support Community Greater Miami is a place where both patients and family members will find support, education and hope. Support groups address emotional issues for patients and families. Educational workshops get important questions answered in a non-clinical setting. Stress management programs enhance health and well being. Every program is offered free of charge. 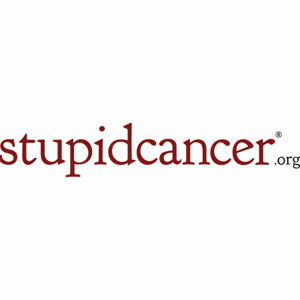 Stupid Cancer: Stupid Cancer, a 501(c)3 nonprofit organization, is the largest charity that comprehensively addresses young adult cancer through advocacy, research, support, outreach, awareness, mobile health and social media. Lymphoma Research Foundation: is committed to providing members of the lymphoma community with accurate, up-to-date information about the diagnosis and treatment of the disease. LRF hosts in-person educational conferences nation-wide. Childhood Leukemia Foundation: The mission of The Childhood Leukemia Foundation (CLF) is to educate, empower and raise awareness and the necessary funds to support programs that benefit children living with cancer. Our programs improve health literacy, increase self-esteem and empower cancer victims with hope. CLF believes that by working together, we can make a difference one child at a time. 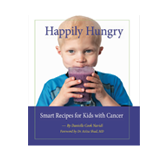 Happily Hungry: A child undergoing treatment for cancer faces all the challenges posed by the treatment itself as well as side-effects that include nausea, fatigue, mouth sores, diarrhea, constipation and altered taste buds. Staying nourished throughout this difficult time is imperative to staying on course with the treatment. However, for many parents and caregivers, knowing what to shop for, what to eat, or how to identify the right kinds of foods that will best support the patient creates added challenges. Starlight Children's Foundation: Starlight Children’s Foundation has been dedicated to improving the quality of life for children with chronic and life-threatening illnesses and life-altering injuries by providing entertainment, education and family activities that help them cope with the pain, fear and isolation of prolonged illness. Gildas Club: Gilda’s Club South Florida is a free cancer support community for women, men, children, and teens with all types of cancer and their families and friends. We offer networking groups, lectures, workshops, specialized children’s and teen programs, and social events in a nonresidential, non-medical, home-like setting. The clubhouse is located in a historic home in downtown Fort Lauderdale on the Tarpon River. Lighthouse Family Retreats: Lighthouse Family Retreat... serving children with cancer and their families at a seaside retreat helping them to laugh, restore family relationships and find hope in God. Blue Skies Ministries: Blue Skies is a ministry that offers week long family retreats to bring the hope of Christ to families living through the challenges of pediatric cancer and other life-threatening pediatric illnesses. Camp Boggy Creek: We are a year round camp for seriously ill children and offer week long summer sessions for the children and family retreat weekends for the whole family. Hanlens Happy Hearts: provides cancer care bags specifically designed to help a family during the time of diagnosis. The Hanlen's Happy Hearts Child Cancer Care Bag contains information, Web sites and samples of items that your child will need as he/she progresses through treatment. Send Kids the World: features kids with life threatening illnesses and injuries and enables you to reach out to them and send them encouraging postcards from all around the world. Cancer Kids: is a web-based organization which began in 1997 with one simple goal: to help children with cancer tell their stories to the world. Leukemia Lymphoma Society: LLS is the world's largest voluntary health agency dedicated to blood cancer. LLS funds lifesaving blood cancer research around the world and provides free information and support services. 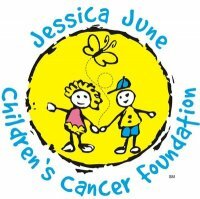 JJCCF: The mission of the Jessica June Children’s Cancer Foundation is to provide financial assistance for underprivileged children fighting cancer. As an advocate, the Foundation helps raise additional funds through media partnerships, collaborating charities, newsletters, and special events to ensure ill children maintain access to basic human necessities during times of crisis. CordBloodBanking: At Cordbloodbanking.com, we want to provide you and your family with relevant information on cord blood banking options and emerging research, so you can make the best decision for your family. Our organization promotes awareness for current and future stem cell treatments, and we are committed to being the most comprehensive and up to date resource available for mothers and families considering cord blood. Mesothelioma: At TreatMesothelioma.org, we are determined to be the one-stop resource for mesothelioma and asbestos related guidance and information.